Dean Alle leads BwiseIP with the belief that every CEO should work in the business to know the business. Prior to founding BwiseIP in 2001, Dean worked as in-house IP Manager for several technology startup companies. Dean has used his background as a researcher, patent examiner and business consultant to build his experience in IP management and venture creation, managing IP from conception through to commercialisation. Dean is an experienced entrepreneur and continuous Director of multiple startups since 1984. 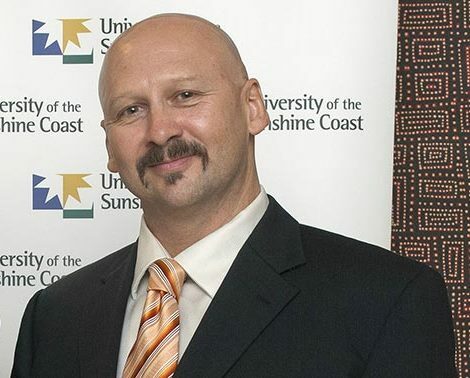 Dean Alle graduated with Honours in Science from the University of Queensland and obtained a PhD in Physics from the Australian National University. As a research scientist Dean published many scientific articles. He started his IP career with IP Australia (IPA), the Australian Patent Office, as a Patent Examiner. There he spent 5 years examining Intellectual Property from a legal perspective along with various IPA business projects including business process re‑engineering and international benchmarking. Dean then moved into the fast paced world of technology start-ups in 2000 on the wave of the dot com and telecommunications boom. Dean worked as the Intellectual Property manager for Redfern Broadband Networks (RBN), a high tech start‑up company developing innovative network equipment. Dean was soon providing IP management services for a number of other companies in the Redfern Photonics stable, including Redfern Polymer Optics (RPO), Redfern Optical Components (ROC), Redfern Integrated Optics (RIO), Cactus Fibre and the Bandwidth Foundry. In these roles, Dean managed patent portfolios and integrated the IP management strategy with the business strategy and direction. Dean interacted with the inventors and technical staff as well as CEOs, Boards and investors, preparing all aspects of IP related material from Records of Invention through to high level IP strategies and Board papers. Dean spent many years with the Redfern companies as their part time in house IP expert and also played an instrumental role as Strategic Advisor to the Australian Photonics CRC and IP Incubator Company Redfern Photonics when these organisations were wound up at the end of the Photonics CRC funding program. Dean continues to provide IP management services to a number of companies that trace their origins to the Redfern Group. In the years 1996-2005, Dean developed a unique collection of skills and expertise that spanned the technical, legal and commercial aspects of Intellectual Property and Commercialisation from the startups perspective. He realised the importance of strategic management of IP to enable an organisation to extract the greatest value from its Intellectual Assets in a short timeframe, and that these may not be purely monetary. Dean was able to provide holistic management of IP, from understanding the legal frameworks and the value of IP to the need to integrate the IP strategy with the business strategy from conception through commercialisation, and most of all the sense of urgency. He identified that this service was missing from the Australian innovation landscape. Dean’s company BwiseIP was formed to address this need for startups and large organisations alike. BwiseIP quickly grew to manage and extract value from IP for many startups, corporates and research organisations. Dean published an article in the Australian Innovation Magazine (2009) titled “Who is Your CIPO”. This article looks at the role of the Chief Intellectual Property Officer and the difference they could make to commercialisation of IP in Australia. Dean views that Commercialisation of IP is as much about managing people and their expectations as it is about technology, market and legal aspects. More recently since 2013, Dean is a contract Entrepreneur in Residence (EiR) for Universities and Innovation Organisations. Dean scopes strategies and sets up an opportunity for the best possible chance of success, taking into account all points of view, or helps the new venture to pivot or fail. Dean thrives in a position where he can follow through and implement the strategy to create and shape the opportunity into a real project. Dean is a strong supporter of entreprenurial ecosystems, having been the lead mentor at many startup weekends including AU startup weekends for youth, EiR at Generation Innovation and lecturer in entrepreneurship at several Unis. Dean is also on various panels: AU Fed gov expert entrepreneurs, QLD gov grants assessment, CSIRO On Program assessor/mentor to help scientists be entrepreneurs, judge for startup investment competitions around AU.